Trekking at Mt. 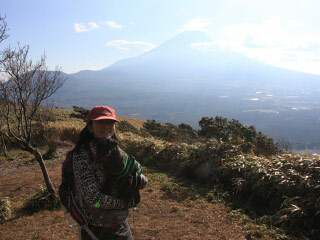 Ryugadake (竜ヶ岳トレッキング) is one of the popular one day hiking spot in Yamanashi. It is well known as the Mt. Fuji view spot in Yamanashi. 1. use local bus to Lake Motosu. The Trekking takes about 5 hours with beautiful Mt. Fuji and Lake Motosu. All the route is well maintenance and very easy to hike to the top of the mountain. On the January 1, you can see the sun rise from the top of Mt. Fuji that is called Diamond Fuji. In winter, you need a preparation for winter climbing because it will has snow and ice on the road.